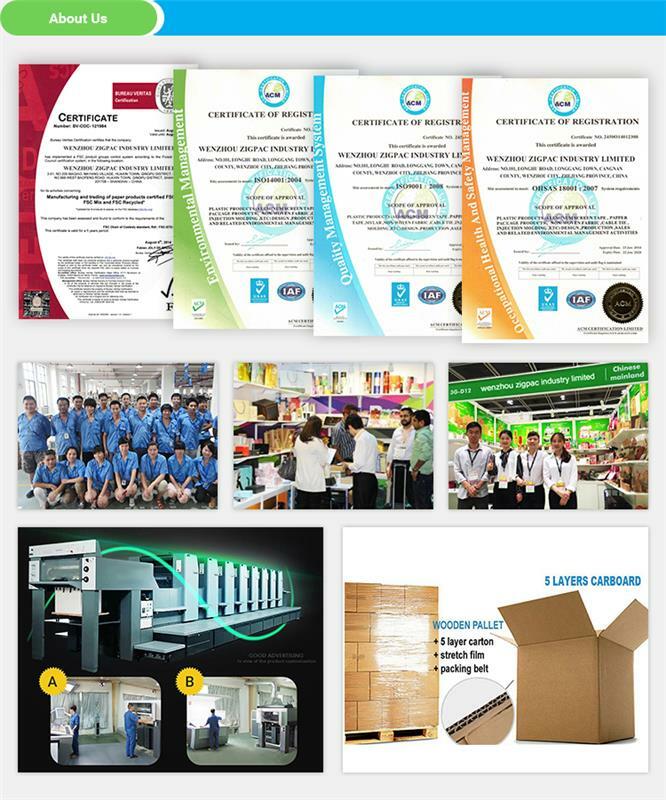 Glossy/matte lamination, varnish, embossing, foil stamping and etc. 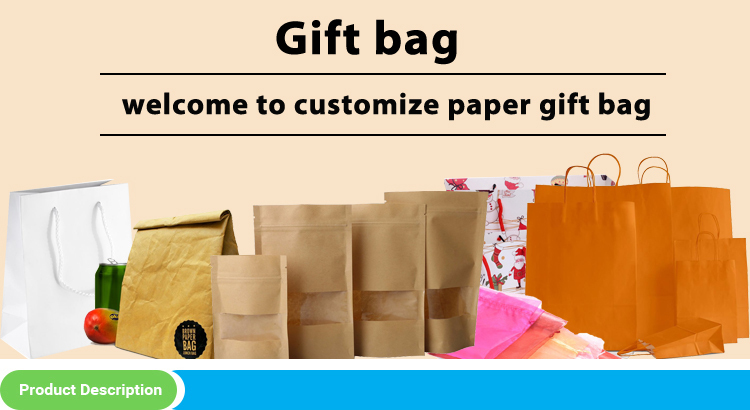 Gift paper bag is a bag made of paper, usually kraft paper. 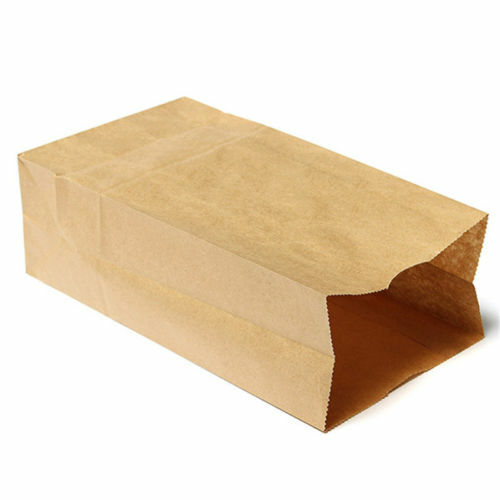 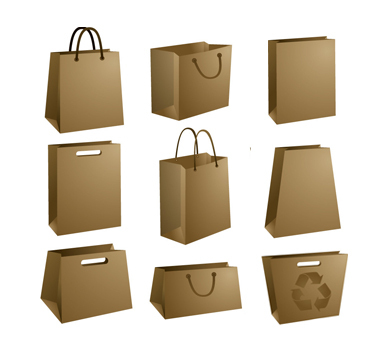 Paper bags are commonly used as shopping bags, packaging etc.Standard brown paper bags are made from kraft paper. 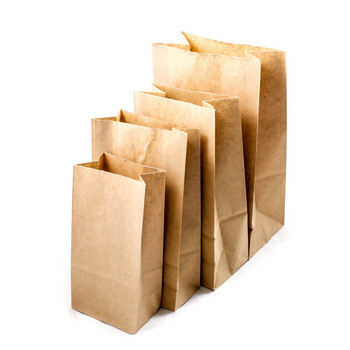 Tote-style paper bags, such as those often used by department stores or as gift bags, can be made from any kind of paper, and come in any color. 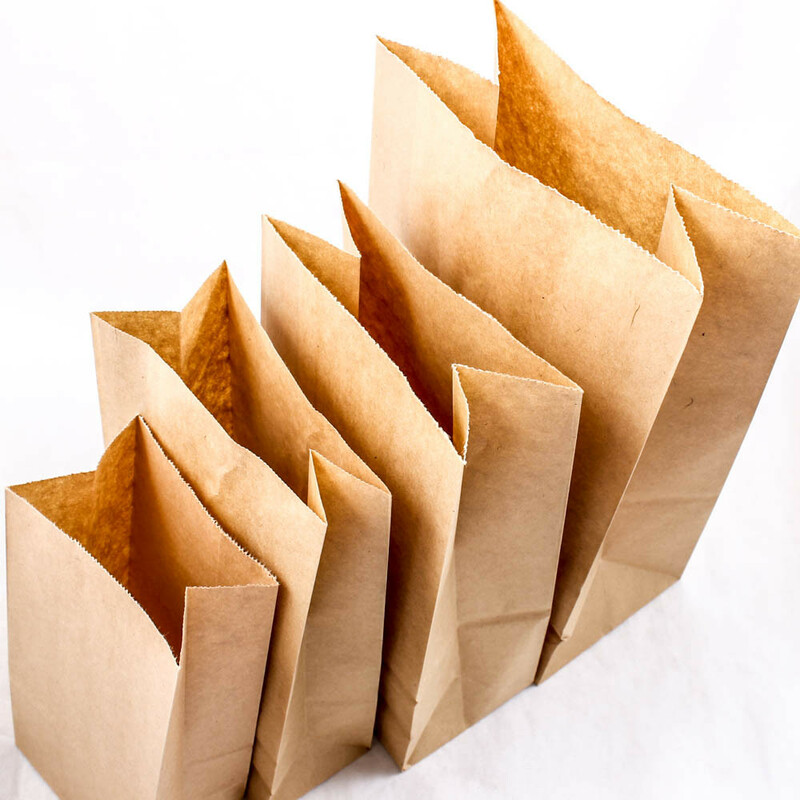 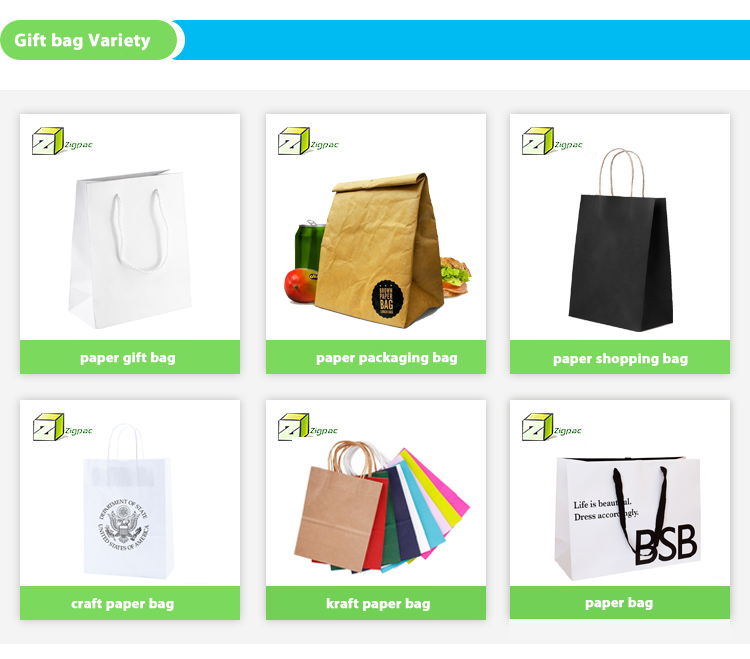 Paper bags Mainly divided into this:Paper shopping bags, brown paper bags, grocery bags, paper bread bags etc.